The differences in projects are what brings about the diversity of tools. The coping saw and the scroll saw are two different woodworking tools that are used for different purposes. They can be used by beginner and professional woodworkers and homeowners alike. 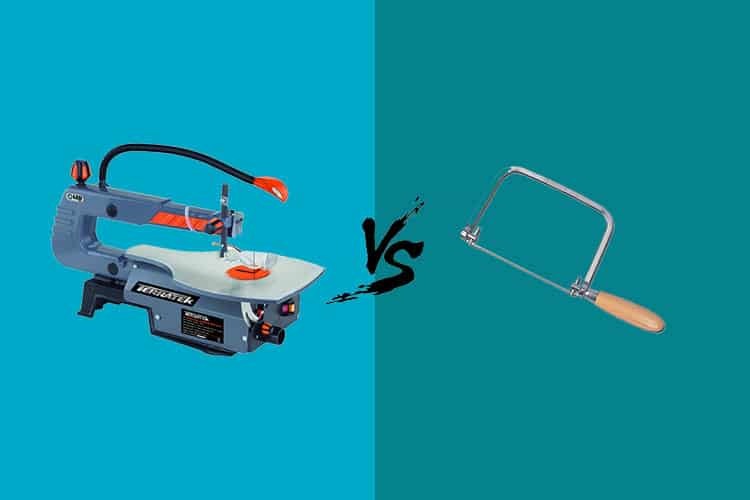 In order to aid your use of both the coping saw and scroll saw, we shall be examining the scroll saw vs coping saw. To do this, we shall start first by looking at coping saw definition and how it functions as well as that of the scroll saw. We shall also see the many benefits and usage of both the coping saw and the scroll saw as well as their limitations. We shall be concluding this discussion by providing a number of other factors to consider when choosing between the scroll saw and the coping saw. The dilemma that exists between the scroll saw and the coping saw surround its usage and when there is the need to use one above the other. This and many more is what we will be providing in this scroll saw vs coping saw discussion. However before we do that, let us look at what a scroll saw is, and a coping saw definition as well as how they function. A scroll saw as many woodworkers have come to know is a tool, looking almost like a sewing machine as it works, used for making intricate designs on wood pieces among several other uses. It can also be used to carve wood pieces into various shapes and designs. Over time more projects like inlays, plagues, and various mosaics have been known to be possible with a scroll saw. The scroll saw functions like a sewing machine as wood is being passed through and around the saw. A monogram of the pattern to be made on the wood which has been sketched is then replicated on or with the wood. The coping saw, on the other hand, is a handy tool that is being used to make turning cuts on several items like wood materials, plastic materials, and metal materials. However, every one of these material types that cuts are made on with the coping saw all require different blade types. The coping saw makes use of a thin metal blade stretched over a metal frame to effect cuts. It also has a U-shaped frame with a clip on both to secure the blade of the saw in its place. It has a handle that makes it easy for the user to moderate the blade while making use of it to cut the material. To understand the difference that exists between a scroll saw and a coping saw, it is best to outline some of the benefits and uses of the scroll saw and coping saw. With this, you as a woodworker or homeowner will know when to either make use of the scroll saw or the coping saw. Making the best intricate design patterns on and with wood pieces: When it comes to making intricate designs, scroll saw have carved a place of itself in the field of woodworking. Allowing for wood pieces to pass through it, you are able to make the best intricate design in the easiest way with a scroll saw. Design projects like plaques, Marquetry, and Inlays: In recent times, more flexible project ideas have evolved that can be carried out with the scroll saw. These projects include plaques like children and Mother’s Day plague; marquetry and inlay designs. You can also cut w wood pieces with the scroll saw and mold them into a wood clock that can be placed anywhere in the home. When to Use a Coping Saw? Best for running circles around handheld saws: The coping saw is known for its excellent ability if being able to run circles around handheld saws on if which the jigsaw among others is. Best making a cope – the most attractive cut in carpentry: The coping saw is the best machine for making a cope. Cope is an excellent cutting finish in carpentry that allows you to marry the ends of wood moldings. These ends married are done at the inside corners which helps keep the joint tight. With the benefits and uses of the scroll saw highlighted above, let’s quickly run through some of the limitations of both the coping saw and the scroll saw. The scroll saw through a very versatile easy to use has its major limitation to be that it is unable to cut through hardwood pieces. 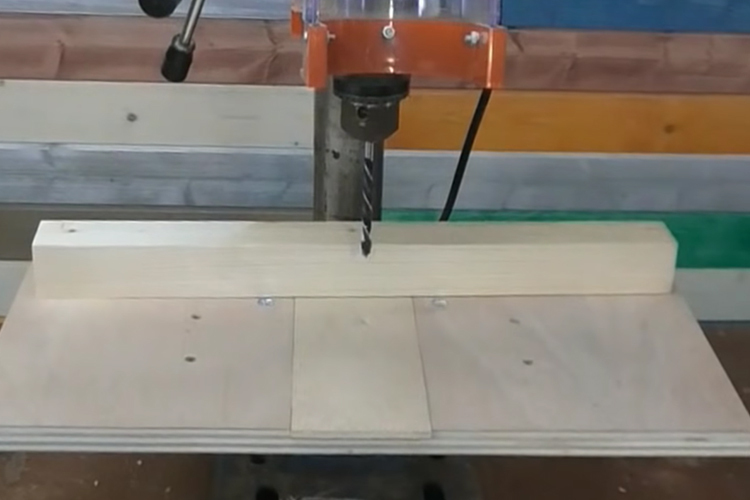 An attempt to do this either damages the scroll saw machine or makes a mess of the project at hand. Also, the scroll saw works well with small wood pieces but is found wanting when it is faced with tasks of large wood pieces. How about maintaining the scroll saw? It takes a lot of time and in some instances cost to adequately maintain a scroll saw. All of these is what adds up to make the scroll saw quite expensive to purchase and maintain. The coping saw, on the other hand, is largely limited by its size as it is very stressful working with the coping saw when handling tough woodworking tasks. Being a handy tool, you will have to use the tool with your hands across the wood piece which many times affects the accuracy of the outcome of work done with the coping saw. When getting a saw after taking into consideration the uses, benefits, and limitations of such saw, it is also very important that some other factors are noted as well. These factors are more personal to the user or woodworker and may vary from one person to another. The skills and safety required to operate the saw are one of these factors. The cost of obtaining the saw and the maintenance requirement of each are other necessary factors to be considered as well. When getting any of the scrolls saw or coping saw, it is best to know what skill and safety are required of such saw. When you have found out the skill and safety required for a scroll saw, it is then important to go on to ask yourself if you possess such skill and can abide by the safety requirements to avoid hazards. Sometimes, in doing this, you may also have to consider the nature of the work to be done. It is not enough to think you have enough skill to use a saw, it is best to know if the skill goes in line with this saw chosen on one end and the task on the other end. You cannot go for a saw that is more than your pocket. So you have to look into your pocket first before looming out of it when choosing either the scroll saw or the coping saw. In terms of being expensive, the coping saw is a long lasting traditional tool and as such it is less expensive than the scroll saw. However, if you are buoyant enough to pay the price and the scroll saw is what is best for the task at hand, then you should go for it. Remember to have your budget planned before making a decision so every saw out there doesn’t look like it. You won’t want to have a tool you cannot maintain. Sometimes some saws would require timely maintenance which not just makes maintenance stress full, but also costly. Considering the simple nature and design of the coping saw, it is no doubt quite easy to maintain than the scroll saw. The coping saw also does not need as much maintenance as is required of the scroll saw to keep it in the best working condition. Do you have less time and cost to offer for maintenance? Then the earlier you began considering coping saws, the better. So, Scroll Saw or Coping Saw? Considering the coping saw uses that has been provided for above, you might want to be quick to conclude that the coping saw is a better pick than the scroll saw. While it looks much like it, it will be wrong to say so. Before asking the question ‘scroll saw or coping saw?’ a number of other questions should have been asked and answer. The questions to be asked should provide answers to the individual difference of the user, the budget plan of the user and most importantly the nature of the job to be done. The scroll is no doubt the best option for a woodworker who wants to make intricate designs. The coping saw can easily enter your list of regular carpentry tools. Look beyond the limitations of the scroll saw vs coping saw and see to major and very much needed woodworking tool. Don’t get intimidated by the design or price of one that you forget to be sure it fits the purpose for which it is needed. Also, regardless of which saw you are picking be it a high-end scroll saw or a powerful coping saw, make sure to be careful when using it. Also, make sure to pay attention to every detail that is expected of a user while making use of both saws. 2 How to Remove Chuck from Drill Press for a Safe Replacement? 3 How to Use an Angle Grinder to Cut Metal Perfectly and Precisely?